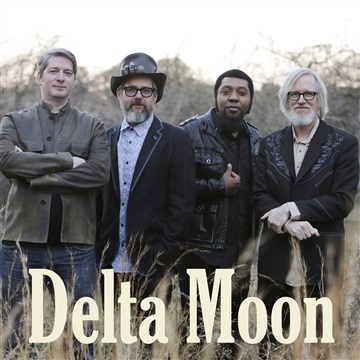 DELTA MOON is a roots rock and blues quartet from Atlanta, Georgia, featuring the unique double slide sound of Tom Gray on lap steel and Mark Johnson on bottleneck slide guitar. Lead singer Tom Gray is well known as a superb songwriter (he penned the hit "Money Changes Everything" recorded by Cyndi Lauper). Delta Moon tours regularly in America and Europe. The band's last CD, Low Down, was named one of the Best Albums of 2015 by both DownBeat and Blues Music Magazine. Delta Moon is currently working on a new album, due out in March 2017.